I fly my world first record attempt at the J-motor record on May 29, 2018 at Delamar Dry Lake, NV. I flew a Loki J1026 in my custom designed Vanish 38J rocket. It hit nearly Mach 3, but there’s still work to do to beat the existing record. The launch was spectacular with the rocket pulling about 100Gs off the pad. 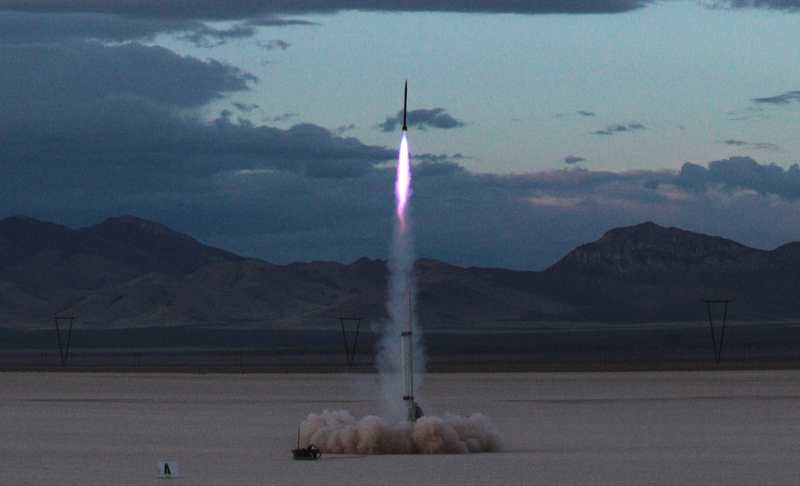 This was the first rocket I’ve designed & built to hit Mach 3. I got great data from the flight and learned a lot. I’ll be back for more! ← Second Vanish 29 World Record Rocket Flight!